Laser Engravers offered come designed and developed using latest technology support and finds usage suitability in working areas like non-metal art crafts as well as in engraving of bamboo and other products. 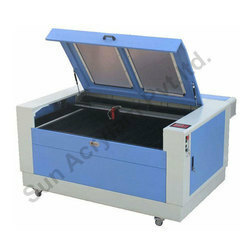 Providing for strong and stable work performance, these laser engravers provide for high precision based working with stable electrical ability. Some of its features include stable engraving speed; can support engraving of pictures, surface of many materials; laser power of 80W, 100W, 130W and others; laser type of Co2 glass laser tube, engraving speed of 1-6000mm/min, cutting speed of 1-1000mm/min. 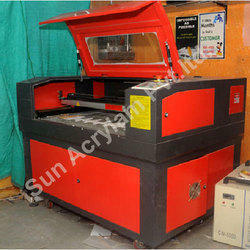 Available with us is a quality assured range of Laser Cutting and Engraving Machines. We not only provide Machines but also provide Ideas to make Money from Our machines and Best Productivity. Manufactured in accordance with international quality norms, these machines are used to cut various material like ceramics, wood, metals, plastic, composites and paper. To meet the distinguished needs of patrons, we offer these machines in variegated specifications. Further, our machines are extensively applauded by the patrons for their optimum performance and rugged construction. 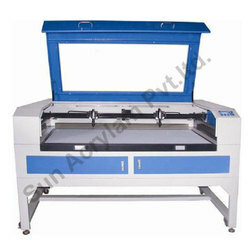 Available with us is a quality assured range of Laser Engraving Machines. We not only provide Machines but also provide Ideas to make Money from Our machines and Best Productivity. Manufactured in accordance with international quality norms, these machines are used to engrave various material like ceramics, wood, acrylic, plastic, composites and paper. To meet the distinguished needs of patrons, we offer these machines in variegated specifications. Further, our machines are extensively applauded by the patrons for their optimum performance and rugged construction.